We had Read Comics Book in Public Day Tuesday and one of the best weeks of new comics on Wednesday. How can I choose which book was best? The Justice League took a new turn, Locke and Key had a brilliant one-shot, the Sixth Gun marched on, more secrets were revealed in Morning Glories and we had another in the AvX title from Marvel. My wallet is hurting because it is a good time to be a comic book reader. 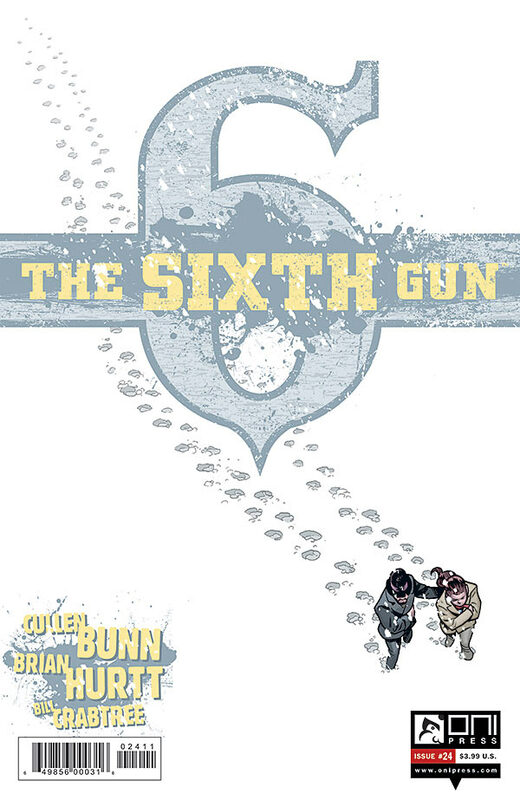 The Sixth Gun #24 – Cullen Bunn managed to stand out in this great week of new books. The General stirs and speaks of another lady in his life (trying not to spoil! ), Becky and Drake come across a Kalfu and Gord has a mysterious someone in the shadows watching. Bunn continues to keep the pace of the story fast and enjoyable. This has been a series that is rapidly approaching one that I always suggest to new readers. I don’t know if I can wait until the next issue. If you haven’t read this series do yourself a favor and start. All of the issues are on ComixOlogy and three trades have been published. What are you waiting for? Oh the might Bitey Key! 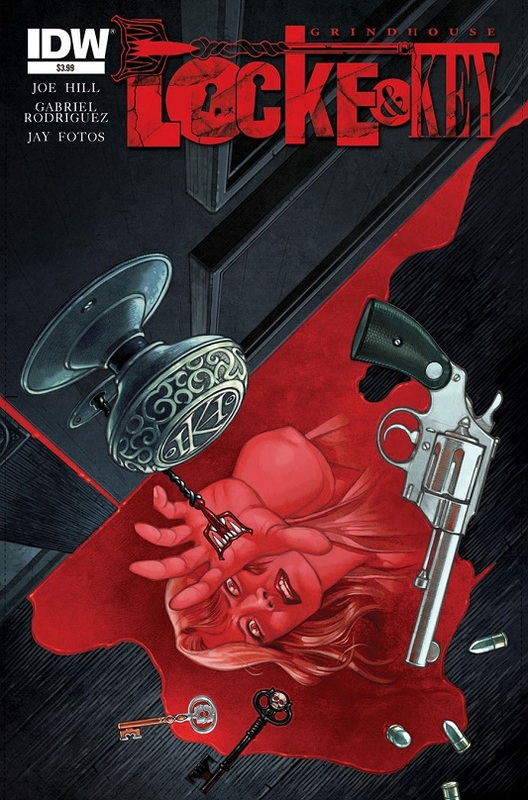 Locke and Key: Grindhouse – If reading a grindhouse pulp written by Joe Hill and illustrated by Gabriel Rodriguez isn’t enough, we witness the horrors of a new key (The Bitey Key!) and get to see the blueprints to Keyhouse! Fans of the series will enjoy knowing what horrors the crooks in this story have stumbled into and new readers will have some fun surprises. They delivered with their style, emphasizing the teeth of the villains as they mentions at Comic-Con in San Diego. A must read for fans of the series (everyone really should read this series) and a great, fun, schlocky read for new readers. Avengers vs. X-Men #5 - I have gone back and forth on this series. It has had some really good moments mixed in with really bad ones. This issue felt as a throw away and only served to offer up some humor that fell flat. 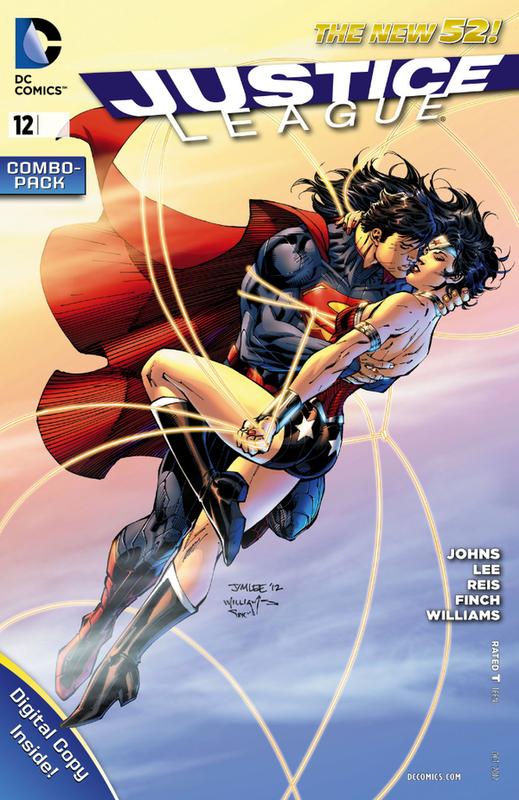 Justice League #12 – Another series that I had been reading but am not current on. I picked this one up based on hype and am glad I did. The times are a-changing for the Justice League and it seems like a perfect time to hop on this book. Morning Glories #21 – Nick Spence is one of the best comic authors on the market today. This series remains one of my favorites, but he has woven such a complex web I sometimes am lost. I keep saying I am going to stop buying new issues and wait for the trades, but I just enjoy this book too much. This issue had some big revelations regarding the academy and left me wanting more. Li’l Homer #1 - I will admit that it has been quite some time since I picked up a Simpsons comic, but seeing Homer as a child with his mom and dad on the cover was irresistible. The comic didn’t disappoint, featuring several enjoyable tales about Homer’s childhood. Nothing to write home about, but a fun read that I would encourage Simpsons fans to pick up. Batman Detective Comics: Annual – A fine read that was enjoyable, but not memorable. American Vampire #30 - This was a series I began reading early on and really enjoyed. For whatever reason I drifted, but it sounds like it is going strong and that there is a lot more for me to read about Skinner Sweet. It may be time to revisit this one. Microreview [film]: Birdemic: Shock and Terror!